TORONTO — The CPP Fund had a small investment loss in its most recent quarter but the retirement fund's assets increased by $4 billion overall because of contributions from the Canada Pension Plan. 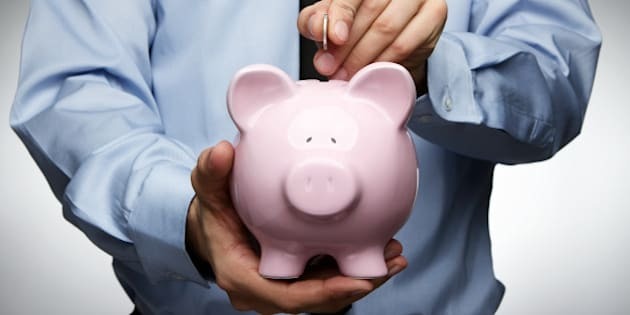 The Canada Pension Plan Investment Board says the CPP Fund had $268.6 billion of net assets as of June 30, up from $264.6 billion a year earlier. It received $4.2 billion in contributions from employees and employers covered by the Canada Pension Plan but that was offset by $200 million in net investment losses after costs. It says the portfolio's gross investment return was flat for the quarter and negative 0.1 per cent on a net basis. That contrasted with the fund's return for the 2014-15 financial year, which was a record 18.3 per cent. The three months from April to June was a busy quarter for CPPIB which did more than 25 investments, including several that were worth more than a billion of dollars. "We continue to assess and seize opportunities that fit our disciplined approach to produce long-term risk-adjusted returns,” CPPIB chief executive Mark Wiseman said in a statement when CPPIB released its 2016 first-quarter financial results. Among the biggest deals during the quarter was the acquisition of the Antares Capital lending operation from the financial arm of General Electric, for $12-billion. Antares Capital's management and about 300 employees will operate the business as a stand-alone, independent lender to private-equity sponsors, subject to regulatory approval. CPPIB announced in May that it would invest more than $1 billion in a German real estate joint venture. That included $542 million for a 46.1 per cent interest in shopping centre operator mfi AG, and an additional $503 million to support mfi's needs. In April, CPPIB joined with private equtiy firm Permira to buy Informatica Corp. for about US$5.3 billion. The California-based company has about 5,500 employees who serve organizations with large-scale information assets. To support its investment activity, subsidiary CPPIB Capital Inc. placed $1 billion worth of five-year notes and the fund manager sold some assets, including US$1.16 billion in cash and notes for a stake in U.S. cable operator Suddenlink.